Not looking good for Opportunity. No contact since June 10, 2018. 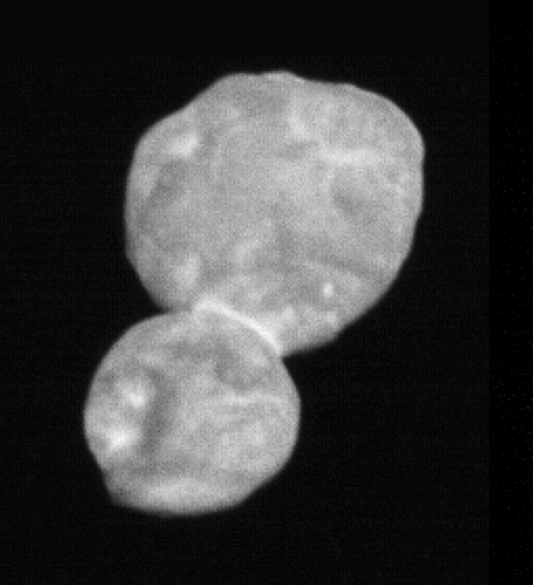 New Horizons spacecraft flew by Ultima Thule (Kuiper Belt Object) at 12:33 AM, 1 JAN 2019. Takes over 6 hours for data to reach Earth. If you have a couple of hours waiting for a Port Canaveral cruise or hanging around the Cape, I highly recommend the Sands Space History Center, just before you get to the south gate at Cape Canaveral AFS. Plus, it's directly behind SpaceX's Launch Control Center, which is probably just as cool if I knew someone who could get me in for a tour. They have an extensive history of each CCAFS launch complex, with artifacts and vintage photos. Many times, the guides are veterans and can chat about specific events. To top it off, it's free. We went last Saturday afternoon. Vombatus, bigpern23, da man and 1 other person like this. Have been wintering on the Space Coast since the first of the year, but tonight was the first SpaceX launch since we've been here. Brother, wife and I went to the CCAFS viewing site near the south gate tonight to watch the Falcon 9 with the lunar lander aboard. Pretty good-sized crowd on hand there, lots of families. It's peak season in Florida, so traffic was surprisingly heavy, especially on 528 and A1A after the launch. Observations: I miss being able to hear the pre-launch on the radio. Couldn't find a station carrying it and Scott couldn't get his laptop to play the SpaceX feed. So 90 percent of the people around us were caught unaware when the thing went up. (I have the Spacer app on the phone, so we could view the countdown clock). Going on almost 60 years of watching blastoffs from the Cape, and I have never adjusted to seeing them before hearing them. It took about 50 seconds for the rumble to reach us -- so at 1/5 mile per second, we were approximately 10 minutes from the pad. Damn you, speed of sound! Night launches are still amazing. Weather was clear enough to see MECO and second-stage ignition. I miss the roar of a big rocket shaking you from the inside out. Even Deltas and Atlas-Centaurs seem noisier than a Falcon. Can't wait for something with more oomph, like the old days. Best part was seeing a nearly full moon rise from the east just after the rocket disappeared into the starry sky. Here comes a lunar lander. Maybe I will live to see humans walk on the moon again. It's been a long time. qtlaw, Batman, Vombatus and 1 other person like this. I’ve been told throughout my years that we’d be running hot dog stands on the moon by now. I've never had oral or genital herpes, thankfully. However, I didn't get the chickenpox until I was 18, and I have a neurotic fear that I am going to develop shingles. Well, back then it would have been harder to fake. But today with CGI and Photoshop... get out the tinfoil hats! Get the shingles vaccine, once you age-qualify. Anyone 50 or older can get vaccinated, but it isn't recommended until 60.